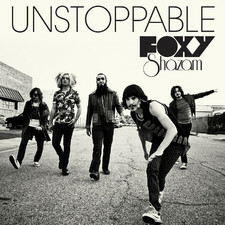 Hello, my name is Eric Nally and I am the singer and founding member of this rabble-rousing pack of fucks they call Foxy Shazam. Our other five members are (in alphabetical order): Daisy (bass) Aaron McVeigh (drums), Alex Nauth (horns) Loren Turner (guitar) and Sky White (piano). I love them but before I get into their story, I would like to spend a little time on myself: I am twenty-four years old, the father of two boys, Julian Michael and Francis Jordan, as well as a loving husband to Karen Nally. This creates an interesting contrast to my career as a professional musician. I grew up in Cincinnati, Ohio, and was one of two white boys in an all-black high school. 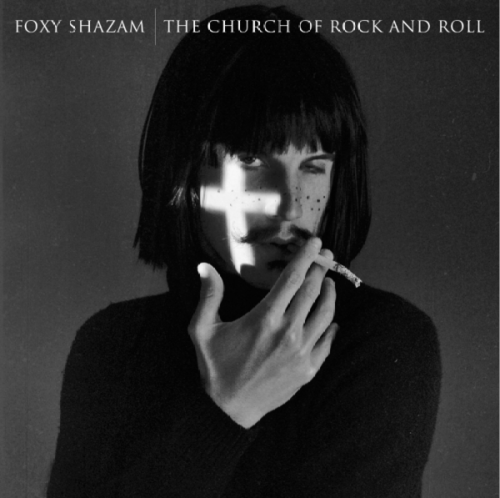 The band name Foxy Shazam came from a saying in my school meaning, “cool shoes.” If you had cool shoes kids would say those are “foxy shazam.” Because of this we have a lot of soul, and try to let it bleed through our music as much as possible. Mom and Dad were pretty poor as I was growing up but always supported my musical interests nonetheless. In the early years they bought my band cheap guitars and amps and drove us to shows in the family Thunderbird. I owe them big time and will someday repay them. Now that you know a little about my history, I would like to talk about my bandmates. Alex, our trumpet player is my right hand man and as a matter of fact he is transcribing this for me right now. Alex is classically trained, has a likable personality and is easy to get along with. We picked him up on the corner of Hollywood and Las Palmas a couple of years into the band’s existence and I feel like his horn playing has added to the uniqueness of our sound. I meet a lot of people that think horns are stupid, but he’s going to change that. Loren, our guitar player is a weird guy to get the hang of and he’s very quiet. Everyone that meets him gets the impression that he’s mad at them but that’s not the case, it’s just the way his face looks. He loves Dimebag Darrell and I love the influence that gives him in his guitar playing. Daisy, our bass player has been in the band for about three years. To be honest, I don’t know too much about him and I like him like that. That’s what makes him Daisy. However, I do know that his contribution to our band is enormous and without him we would not sound the way that we do. Aaron our drummer is the newest member of the band. 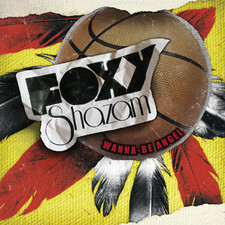 The position of Foxy’s drummer, until Aaron, has been one that is filled temporarily but never permanently. I would never be caught dead in the clothes he wears but, hey, to each his own. 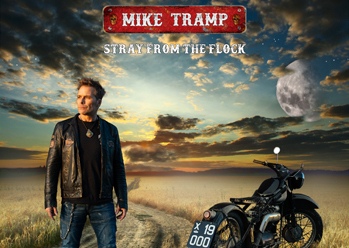 His drum playing is not fancy but it’s extremely solid and is exactly what we’ve been looking for all these years. Last but not least is Sky White, our pianist who is trained in classical and jazz performance. 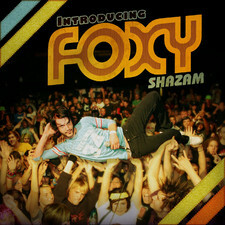 I remember Loren and I went to a show his old band was playing and the second I saw him stand on his keyboard with a piñata on his head I knew we had to get him in Foxy Shazam. It didn’t take too much convincing and a week later we were recording our first album Flamingo Trigger (which came out in 2005) and went on to do Introducing (2008). 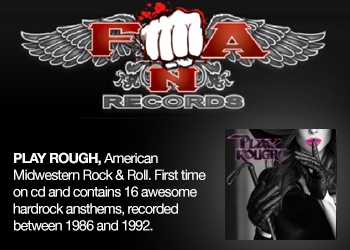 Our self-titled major label debut is coming out now. 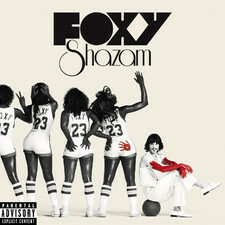 When I listen to a Foxy Shazam record I think of Evel Knievel, Bruce Springsteen, my childhood, Van Morrison, my old friends from high school I don’t talk to anymore, Elton John, the ’50s, ’60s, ’70s, ’80s, ’90s and beyond, Iggy Pop and my first kiss. One of my favorite things to do when listening to my music is to close my eyes and picture a crowd of six million people all chanting “Foxy! Foxy! 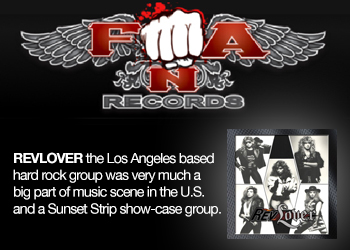 Foxy!” The lights go out and my band walks on stage. It gives me goose bumps. It all makes sense to me. When you listen to our record, think of your favorite things and it’ll make sense to you as well. We are the Michael Jordan of Rock N’ Roll.